When there are so many elopement wedding blogs and photographers posting breathtaking backdrops of elopement wedding with beautiful decorations, it’s easy to be caught up in wedding trends or how a wedding should be. And I have to admit that that I too had preconceptions about how weddings or elopements should be done. But Vittoria & James proved how wrong I was, how important it was to make your wedding day your own. And I have to thank them so much for this wonderful experience. It was a lovely day with Vittoria and James. And even the rain didn’t dampen their spirits. They took everything in their stride, focusing on what was important - That they were getting married. 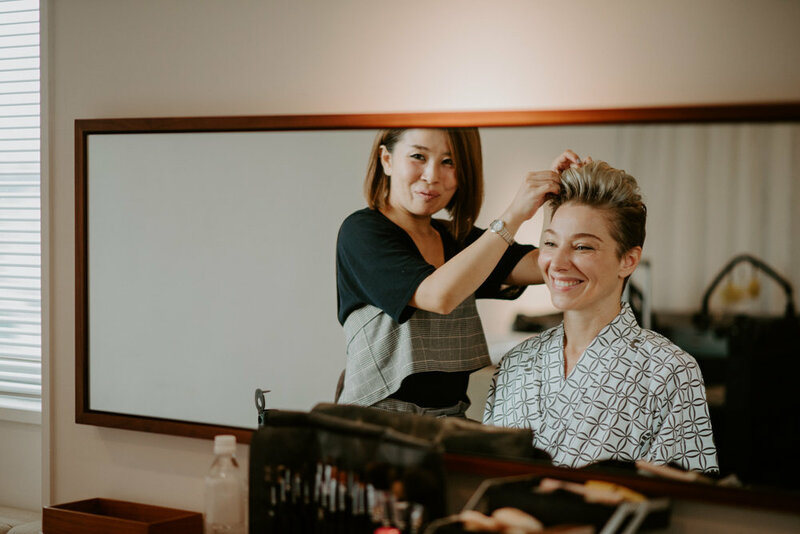 In fact, they only bought their wedding bands in Tokyo a few days before their wedding and some simple accessories from a shop in their hotel. 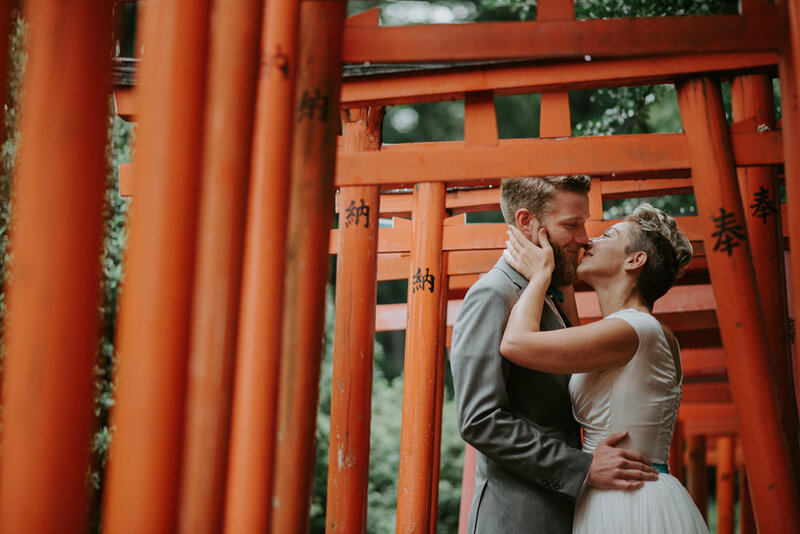 Their hotel, CLASKA was also so kind to let us have portraits taken on their rooftop terrace, showing a misty and romantic view of Tokyo. And the hotel coodinator, Itsumi-san, was so lovely to follow us the whole day helping us to call for taxis and providing such wonderful company. We zipped to a few locations for couple portraits, stopped by the embassy for last minute paperworks and finally to the city hall for the actual marriage registration. We decide to do a simple ring exchange in the small park next to city hall. When I asked if they wanted to say some vows or messages to each other, both of them responded the same- that they have been through so much together that they don’t need to any words. Isn’t that the sweetest thing ever. Vittoria & James, congratulations and thank you so much for choosing me to document such a special day!